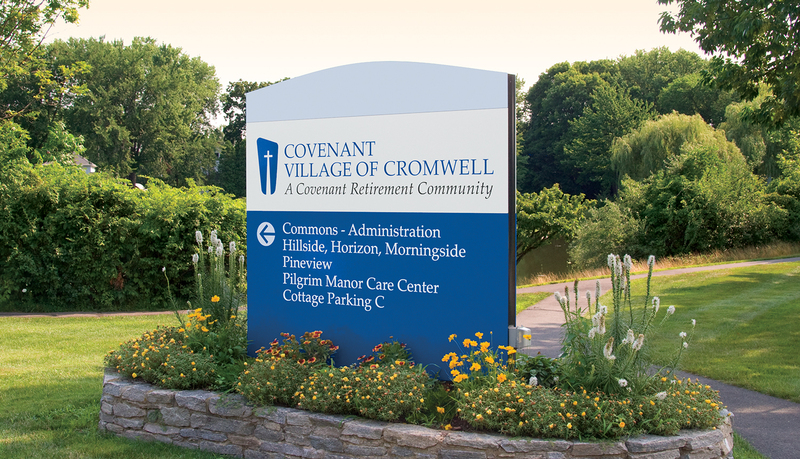 Covenant Village of Cromwell, a continuing care retirement community, provides residential independent living apartments, assisted living and skilled nursing living for retiring seniors in New England. 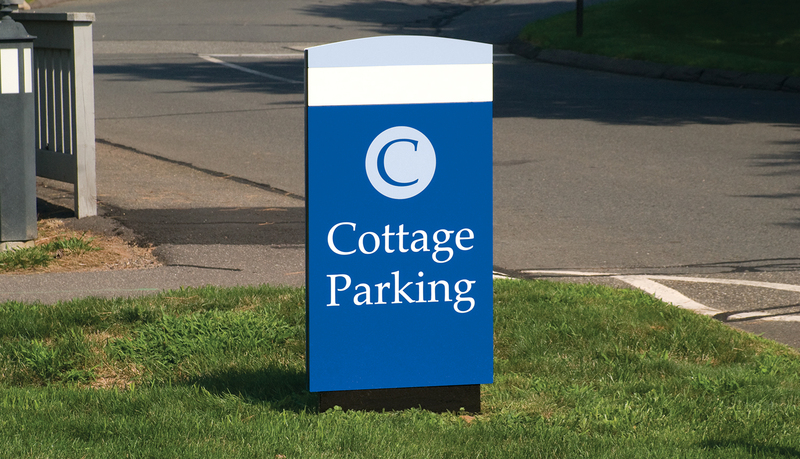 The unique character of a traditional, New England community is achieved through the selection of sympathetic materials, color and front porches. 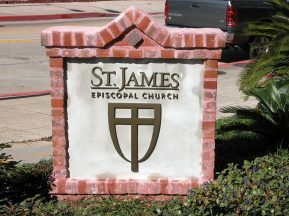 A variety of elevations and “home-owner” identification were achieved through three building types within the 8-acre neighborhood. 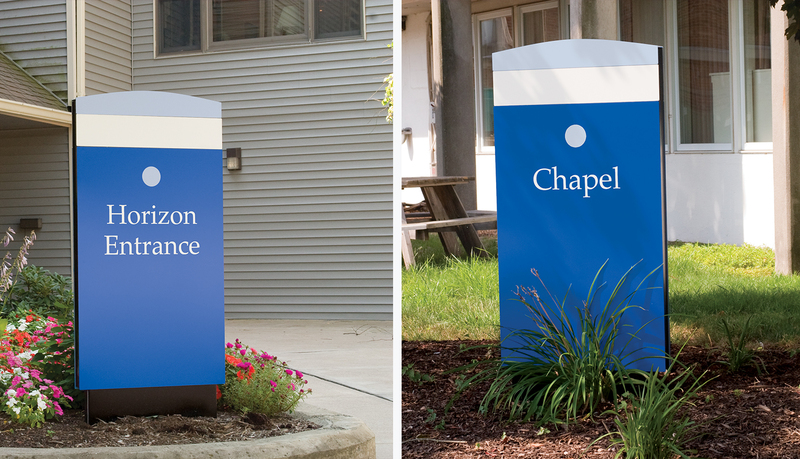 ASI partnered with the staff of Covenant Village to develop an exterior signage system to complement the colors and rolling hill features of the residential community. 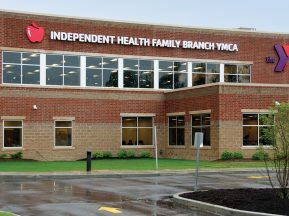 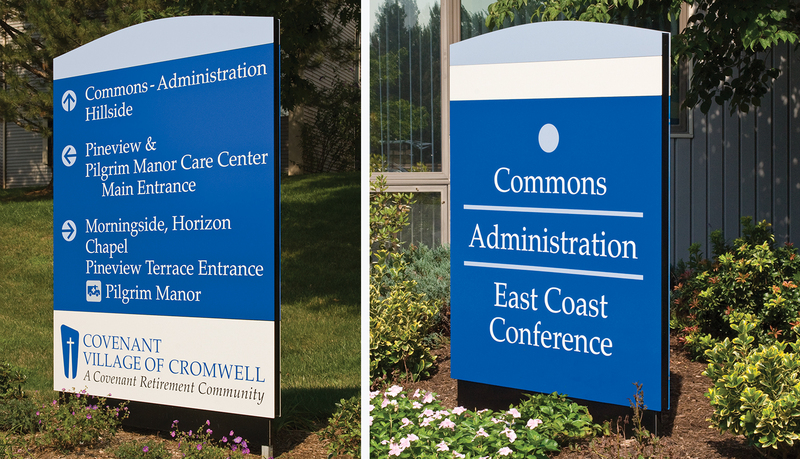 ASI recommended using its Messenger Exterior™ modular exterior signage system to meet the village’s signage and wayfinding needs. 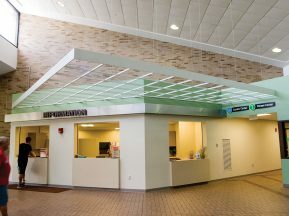 Messenger Exterior™ in constructed from interchangeable, slim-line, flat-face modular panels, which gives Messenger its form, flexibility and functionality. 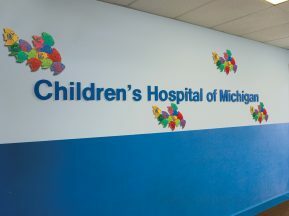 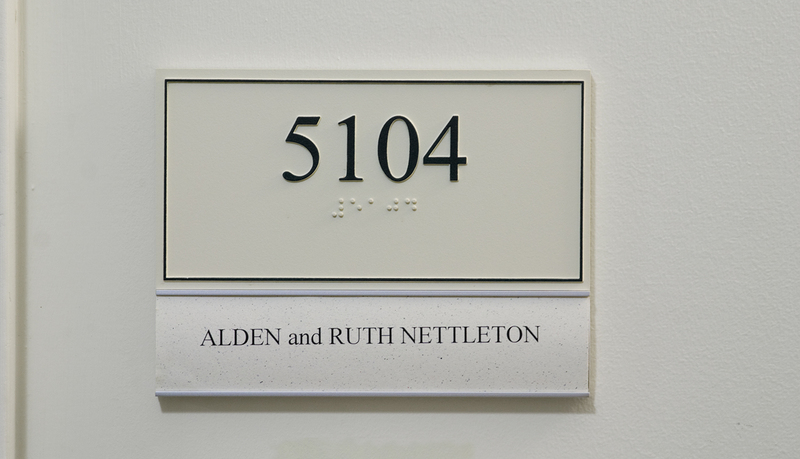 In addition to the exterior solution, ASI also created custom ADA-Ready™ room ID signage with updateable paper inserts.